Mongolia is facing a climate disaster which the locals call dzud—severe winter in which large number of livestock dies of starvation for not being able to graze. While dzud happens once a decade, it may happen for the second consecutive year. In 2015, it killed more than one million animals. This year too, frigid temperatures and heavy snow have led to widespread livestock deaths, threatening livelihoods of herders. "Officially, conditions are very difficult in Mongolia. 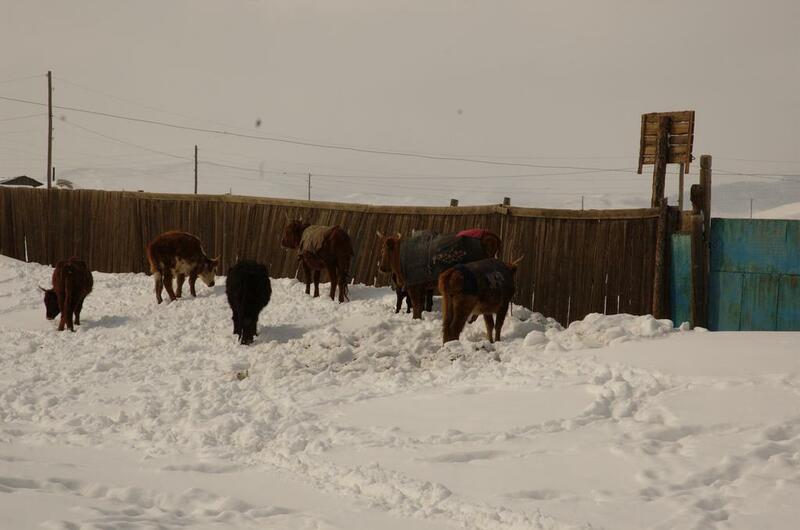 Mostly we talk about livestock because it's the main income of herder people in Mongolia, but it's also dangerous for humans," says Lamjav Oyunjargal, the director for forecasting at the Information and Research Institute of Meteorology, Hydrology and Environment. According to him, east and north of the country, which are already affected, will get even more snow and colder temperatures. The Mongolian government has requested international aid following two months of heavy snowfall, sparking fears of a humanitarian crisis. Western parts of Mongolia have already recorded temperatures as low as -55°C, but weather forecasters say the coldest days are still to come. About one-third of the population is reliant on livestock as a primary source of income. The herder households rely solely on animal fur for warmth and animal’s milk to stay nourished. The income from the herd goes to paying school fees and provide healthcare for their children. As livestock perishes due to severe cold, these households will be forced to reduce food intake and spend less on basic necessities. The dzud of 2009-2010, considered one of the most severe in history, witnessed a total of 9.7 million livestock deaths. The country is already under the grip of an economic crisis which has depreciated its currency, the tugrik, and made household goods more expensive. According to Dulaamsuren, who works with the National Emergency Management Agency in northern Mongolia, over 3,000 local herders did not have enough supplies to last through the winter. Moreover, the region was blanketed by 11 inches of snow, much higher than usual. Frequent dzuds due to climate change has put many herders out of work. That’s precisely why Ulaanbaatar, the Mongolian capital, has seen rapid expansion of makeshift neighbourhoods, putting strain on its resources. As these makeshift neighbourhoods are not connected to city's urban heating system, the residents are forced to burn coal, tyres and household waste to keep them warm, hence, creating massive pollution problems. The average PM2.5 readings in the northern Ulaanbaatar district of Bayankhoshuu is 927µg/m³, while the safe recommended level of PM2.5, according to the World Health Organization, is 10µg/m³.